So many business people end up in charge of staff, not because they have the experience or training, but because the company that they are part of has grown and it’s just been expected of them. Some business owners that I know started their companies from their garage or home but now those organisations bring in millions of pounds and employ tens to hundreds of staff. So what does it take to be a good boss and leader? In my last blog I talked a lot about staff welfare and its importance to get the best from your staff. The way you communicate with employees really matters. The content of your verbal and written communications matters. Your attitude, your tone of voice, your timing and your body language all matter. Staff will either be motivated, inspired and encouraged or they will be made to feel a failure, vulnerable and alienated by your words. Let your staff have their say and really listen to their suggestions and needs. Discussions should always be open and honest with managers and staff. Employ the right staff, with the right skills, then empower them to do what you employed them for – don’t micromanage! I have had some awful bosses that were just waiting for people to mess up slightly and then would make them feel so worthless and awful, when there really was no need. Everyone makes mistakes and that’s OK. Teach your employees to learn from the mistakes and move on. Encourage learning rather than a fear of making mistakes. This helps employees to be more inventive and creative without the worry of being in trouble if it does not work out. Whilst you should point out mistakes made by staff members, don’t forget to own up when you make them yourself. Get to know your staff. Who their spouse is, do they have children, how old and how many, what are their hobbies and passions, what are their backgrounds? Ray Williams said “Develop strong interpersonal relationships at work, so employees have some meaning attached to the work they are doing”. Having the knowledge of what drives your staff should make it easier for you to get the best out of them. Know what their career aspirations are and help them get there if possible, by further training. Staff days out or evenings out are a great way to really get to know your employees, and is great for team building and making staff feel valued. Hanging out with their boss should not undermine the respect they have for you, its always business as usual when back in the office. Deal with employee disagreements and complaints as soon as possible. Don’t let things fester and get out of control as it will affect productivity and profitability. With a smaller company it is important that people feel involved and part of a team. The company should be a place of integrity, trust and respect where everyone is treated fairly and equally. Make sure you have a business mission and core values and are not just focussing on profit. You need to also communicate this effectively to your employees. I will talk more about company values and culture in my next blog. Keep learning! Always be seeking advice and working your brain cells. You must know what skills you are lacking and you should try to learn about these wherever possible, or employ someone to tackle these tasks for you. Also you need to keep up to date of current trends and shifts in your industry and market and share this knowledge with your teams. One thing at a time! Many company owners and managers try to expand and develop the businesses in too many ways, all at once. This can only result in chaos and failure. Yes you should have a business plan with action points BUT only attempt to do one task at a time. Tasha Eurich stated “Give yourself the greatest chance of victory by developing one thing at a time. It is far better to make progress in one area than to make little or none in five”. Monitor your business performance closely and reward staff against agreed objectives being met. It’s a great way to make them want to work more productively. Have the courage to relinquish some control to get the best out of employees. Delegate so you can get on with taking the business forward. Have a positive attitude. Be patient and empathetic. Lead by example. And finally, be the kind of boss, you would like to have, if you worked for someone else. That way you won’t go far wrong. Always be courteous and thank staff every day when they leave. This one simple thing makes a huge difference. The trouble is we are often not very good at evaluating our selves or our businesses, and aren’t very aware of how we affect others. I have seen so many people rush into buying costly new software for their business only to find that it is not suitable. Others take time to decide on an application but then make the mistake of not forward planning or thinking ahead and they crack on with the implementation and then come across all manner of problems. I want to share with you what I have learnt over the last 30 years of helping businesses install and implement the right software in the right way. I want to share this valuable knowledge so you do not waste your time and money when dealing with new software or applications. Too many cooks! Putting more people on the project will not speed up the process. Because everyone has their own opinions this can slow down the process if you are trying to please everyone. Put one person in charge of the project, call meetings to talk about specific needs and wish lists, what process should be managed by the software, brief them well, and then let them manage the project. Don’t underestimate timings! Software development is very unpredictable. There will always be things that will alter your timeline and priorities. Communicate! Make sure that you keep all the necessary people in the loop. Top management will want to know how things are progressing so it has more trust in that the new software will deliver as promised. It’s Complicated! Management often will think their requests will be easy to implement into the new software. They will not understand the hours that are involved in completing their “simple” request. Defined business needs! Management will not be capable of working out exactly what its needs are and they will often change their mind during development. It will need someone with the relevant experience to assess the business needs and then the development team will propose the solution. What benefits and cost savings are there to implementing the software? Scalability! Is your new software scalable? Can it deal with more users and increased data? This needs to be built into your software needs assessment. Ask more questions! The developers need to ask many questions to make sure they get all the necessary information, otherwise it could mean wasted hours of re programming to put things right. Budgets! Have a starting budget for how much you want to invest in the project. Don’t forget that budgets will change if the spec changes during development. Choose wisely! When choosing who to help with the software development and implementation make sure that they understand your industry, can give you costings for pre and post implementation, can deliver exactly what you need and will be there to give support once you have gone live. Watch for hidden extras! Don’t forget about testing! You will want to test your new software or application before it goes live. If possible get a small group to use the software to see if it is fit for purpose. Also developers should be testing their code to make sure there are no bugs. Bugs can be fixed at a later stage but obviously this adds time onto the length of the project. All bugs should be fixed before going live. End User Happy! At the end of the build phase get some of the end users to test the new software just to make sure that nothing has been forgotten. Here there may be a wish list too of making things more user friendly. Coding and Standards! Think about how you will code items within your software. What standards will you be using for adding records? This is extremely important as without forward planning this can really mess up your systems. For example, your stock codes, your nominal codes or even things as little as whether “St” in the customer name is “St” or “St.”. Business as usual! Things can go wrong so have a contingency plan in place to ensure your business can keep going should the new software fail. Going live! 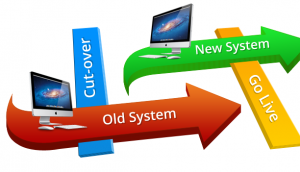 Have a cut off point with your old systems and software and have detailed transaction information and backups before going live with the new software. Support! When you go live you must ensure that you have support available from your software developers for the first few days, and preferably on site. Your business app! Maybe its time to have a branded business app that links to your software. Dependent on your business an app can really help with your business marketing. You can manage customer feedback and let them know about your current offerings, all from your app. Lots to think about before rushing ahead! WEAR THE RIGHT HAT WHEN MAKING BUSINESS DECISIONS! To be able to make the right decisions in life and in business, you need to be able to see all problems from many different perspectives. Optimists will never see the downside of a decision and the over cautious might miss great opportunities. 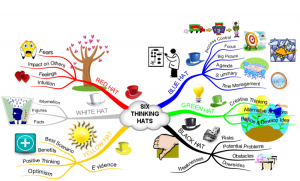 Edward de Bono created “Six Thinking Hats” back in 1985. It is aimed at making you explore other people’s perspectives and therefore being able to come to better decisions. In a previous blog I gave tips on how to make more effective business decisions. Sometimes though in life and business you need to consider problems from other angles. Emotions play a big part and not bearing this in mind could mean people go against your plans. White Hat: This is all about data or information. What information do you have? Are there any previous trends you can use to help your decision. Are there gaps in the information? Is that something you need to rectify so future decisions are easier? Red Hat: Here you are using your gut, intuition and emotions. What are other people’s emotions both in relation to the problem and the solution? Do they understand your reasoning? Black Hat: What are the possible negative outcomes of your decision making? Why might your solution fail? Work out how to stop this failing.Make sure you always consider the possibility of problems arising from making a specific decision. Don’t be under-prepared. Yellow Hat: It’s all about being positive! What re the benefits of any decision? What value will it add to your life or business? Green Hat: Be creative! Look at all possibilities, without constraints. Blue Hat: Keep things controlled with Systems, Process and Procedures. This “Hat” is in control. Are the solution ideas running out – it might be time to switch back to “Green Hat” thinking. DO you need some form of contingency plan – then it’s back to “Black Hat” thinking. The “Six Thinking Hats” model is a great way to look at other people’s perspectives when making decisions. Your decision making will be more robust and you will make fewer mistakes. When you run your own business, you have to make many decisions every day. These decisions not only affect your business directly but they also affect your staff, and most importantly, your customers. Having the ability to be able to make those business decisions effectively requires a mixture of 3 things: a good education, hands on experience and a gut intuition. 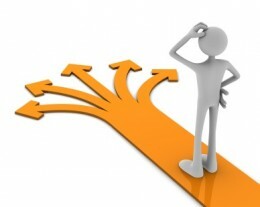 Decision making is influenced by many things: perceived risks and rewards, emotions, deadlines, stress and many, many more. You need to be able to separate out and recognise the irrational from the rational. What is the problem – identify it. What are the possible solutions – analise them. Are these solutions going to bring you nearer to the desired end result – evaluate the solutions. What solution is best – Make that decision! It usually takes years of practice to be able to work through this process naturally. You also need to consider how a decision might affect profitability, your brand, your internal systems and processes and your staff. Be prepared in the early years of your business to make some bad decisions. We all have, but its how we learn to make better decisions in the future. You will not always have all the information you need to be able to make those business decisions so you need to be brave, have courage and take risks. Always remember the end goal of what you are trying to achieve. Choose the solutions that will get you there. There are differences between a good, a bad and an effective decision. It is easy to spot if a decision was a good one as you will have reached the desired result, solved the problem or progressed the company. You should look back though and see whether another option would have delivered the same result, and if in the long run this would have been a better business decision. This is where you gain your decision making experience. You will be able to draw on these experiences when faced with a similar problem in the future. Your confidence will grow and you will make more effective decision choices, and not just right or wrong. 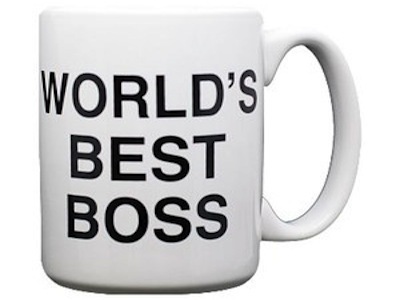 Today I’ll be looking at ways you can become a better boss and leader to your staff. Let’s face it most people become a boss by default. They don’t get any training. It’s simply that the business has grown, and employed more people who need managing. Many of my clients started as a sole trader from a garage or spare bedroom, and now they run companies with tens or hundreds of staff. So, what does it take to be a good boss and leader? Think about the way you communicate with your team. This includes your tone of voice, timing and body language. How you choose to communicate will motivate or demotivate staff members, inspire them, or make them feel a failure, vulnerable and alienated. Employ the right people, with the right skills and attitude, and then empower them to do their job.
. Let your staff know that it is okay to get things wrong, and that it is important to work through problems together and learn from mistakes. This helps companies to become more creative and inventive. Take the time to know your individual team members. Ask about their family lives, hobbies and ambitions. Take a genuine interest in them, and find out what drives them. This knowledge will make it easier to get the best out of your team. Know your employees’ career aspirations and where possible provide opportunities for development and training. Deal with staff complaints immediately. Employee disagreements and complaints need to be dealt with immediately. If you don’t it will impact on staff morale, could lead to legal action, and will impact on productivity and profits. Ensure your business has a mission beyond making money. What are your core values and mission statement? It shouldn’t just be about profits, it needs to focus on people. This provides your employees with a reason for their work. Bosses in smaller companies need to know that it is important for staff to feel part of a team. Look out for our blog on company values and culture for more on this. Understand the importance of integrity. A high percentage of the world’s most successful companies have integrity, trust and respect at the heart of what they do. This approach is vital to the strength of a company’s brand and its reputation management. It will also help in the recruitment and retention of quality staff. This is especially relevant for businesses interested in attracting high-calibre school and college leavers who are more demanding about the companies they work for than previous generations. Work at developing your own skills and knowledge, including emerging themes, trends and developments in your sector. And ensure that you share this with your team, and encourage them to learn and develop. Follow your business plan and monitor results. Ensure you follow your business plan, and reward staff against agreed objectives. Update the team regularly on progress and shared success. Get the best out of your staff by giving them some control. Delegation means that you can create the time to think strategically and take the business forward. Be positive, patient, empathetic and courteous. And thank staff for their work and efforts, giving clear examples of achievements. In summary, be the kind of boss you would want to work for. Please get in touch if you want to discuss ways we can help you to become a better people manager and boost your business. Check out and subscribe to our Nozey Parkers You Tube channel for video blogs giving loads of free business advice. Please look round our website for our full range of business services and client testimonial and for more blogs to help your business grow.